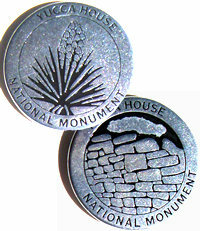 This token album, featuring a photomontage of public lands along the Grand Circle, is perfect for holding all the tokens from the National Parks and other public lands that you have visited. 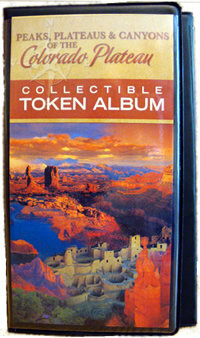 Each album contains pckets for storing up to 30 tokens. 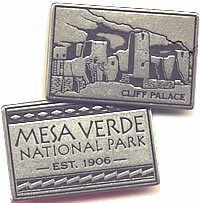 6.25" x 3.75"
Double sided collectible token for Mesa Verde National Park, featuring the towers of the iconic Cliff Palace. 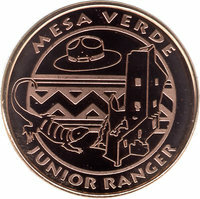 Fits all collector token albums and books.